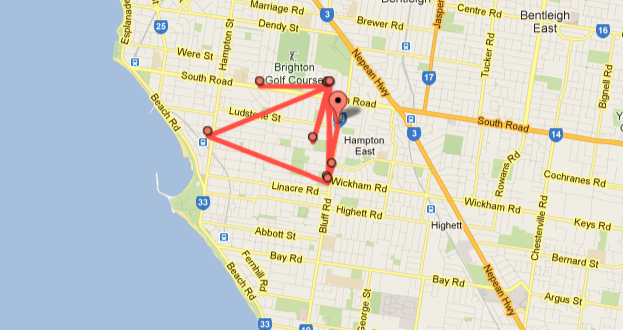 I’ve just discovered the Google Location History page for my account, that tracks where I’ve been, based on my iPhone pinging Google on a regular basis. I can’t work out whether to be completely creeped out, or to shiver with excitement with all the ideas welling up around what useful applications you could build around the data. 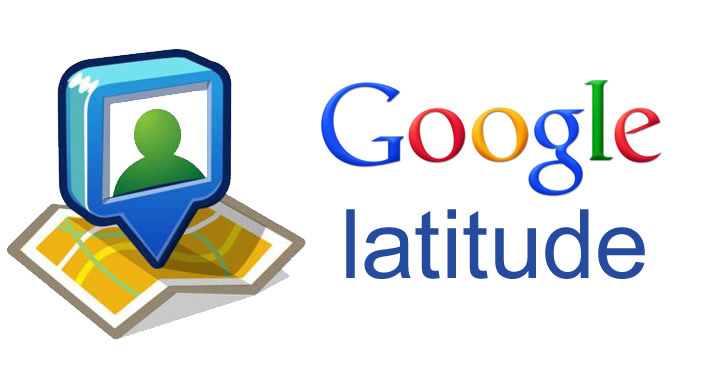 It’s actually been around for a while, it’s part of the Google Latitude product. Big concentration of dots around the David HQ in Brighton. Couple of trips up to the northern suburbs (that’ll be sports games with my son); and a big trip down to the south east of Victoria, when we had a delightful day in the country, including stopping by the snail farm for some escargot. Before you panic, this page is only available to you, not publicly, and you can delete the history at any time. To reach all this goodness, log into your Google Location History page. It’s possible to invite friends to access your Latitude data as well. It had not struck me until I searched around a little, but an obvious application for this data is tracking company employees and assets. 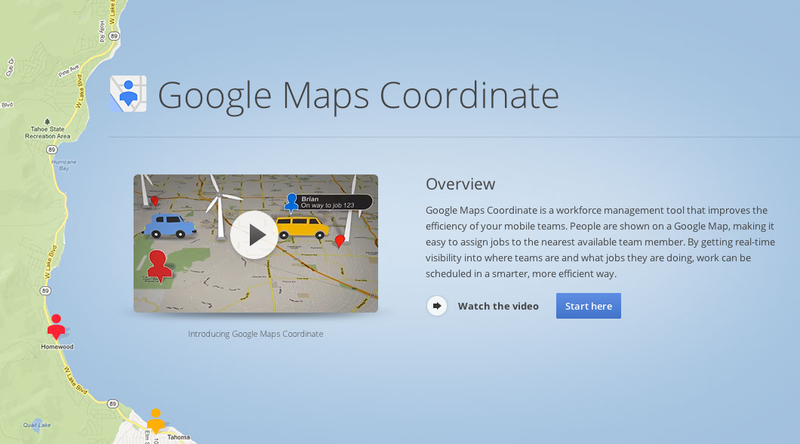 For example, Google has their own service via Google Maps for Business. Clearly there are security and privacy concerns around this data. 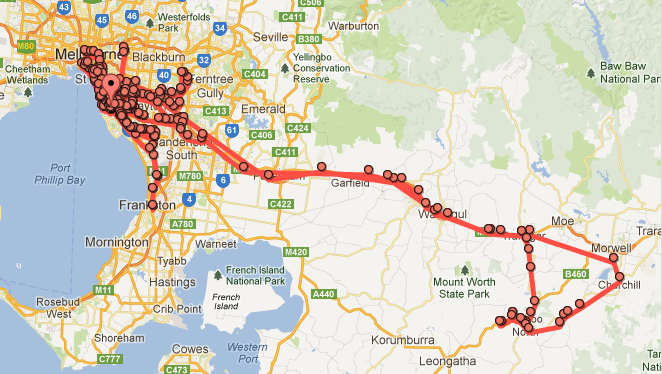 It’s a little strange seeing my travels mapped with such accuracy. And of course there are the positive tales, like stolen property being recovered using Latitude data. Yes, oops. Someone was a little over the speed limit earlier this month, there was some debate in our household who this might have been, neither of us could recall who was out and about on Dendy Street at lunchtime on 8 May. I decided to fall on my sword and sign the form and accept responsibility – and the demerit points. Dendy Street is up the top – I never went near there, at least not with my iPhone in my pocket, and it’s a rare time I leave the house without my phone. Not sure this is worth broaching with @FionaK, so I’ll cop to the fine anyway.